Buying Quality Food in Beijing, China! I personally believe that coming to a country one should submerge themselves in all aspects of the culture; including the food. However being from the west and growing up on a consistent diet based off of a western style of food our bodies can’t sustain a full submerging of the Chinese cuisine. Thankfully there are a couple of foreign managed stores in Beijing where you can get quality A grade food, along with a decent selection of commonly used products/brands. Jenny Lou’s and April Gourmet align their values with those of quality grocery stores in the west, which is unique in China. Though I enjoy the street markets and having to bargain with the locals, I advice you to purchase your vegetables, fruit, meat products or dairy at these stores. 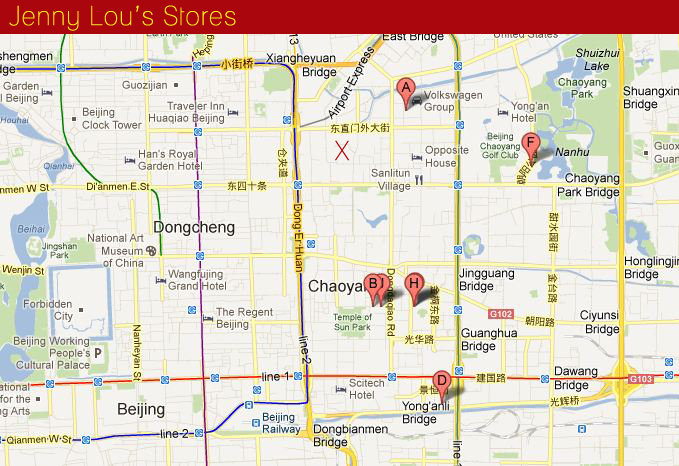 Here is a Google map of a few of their locations in Beijing.